Scrapbooking seems to be one of those “gateway” crafts. You know, the thing you are exposed to that makes you get interested in other crafts? Are you a scrapbooker? I admit, I want to be but I’m not really. 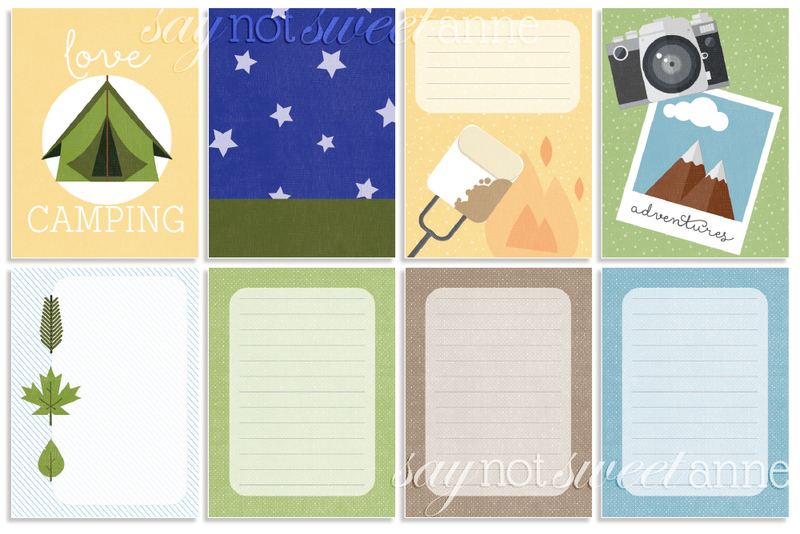 I generally take the time I would spend making scrapbook layouts and use it making other crafts. I enjoy putting together my family’s photos in pretty albums though, and collecting those adorable sets of 3x4in cards for pocket journaling (like Project Life and We R Memory Keepers). Every now and then I complete a page or so of an album when I have the inkling. I find It’s quick, it’s easy, and I enjoy looking back on my memories this way. 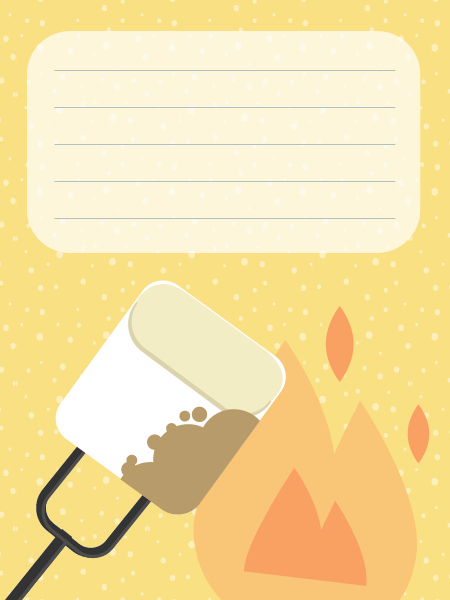 I designed the Camping Journal Cards thinking of our camping trip, but they could definitely work for summer camp, or any outdoor adventure that involves night skies, s’mores and pretty scenery. 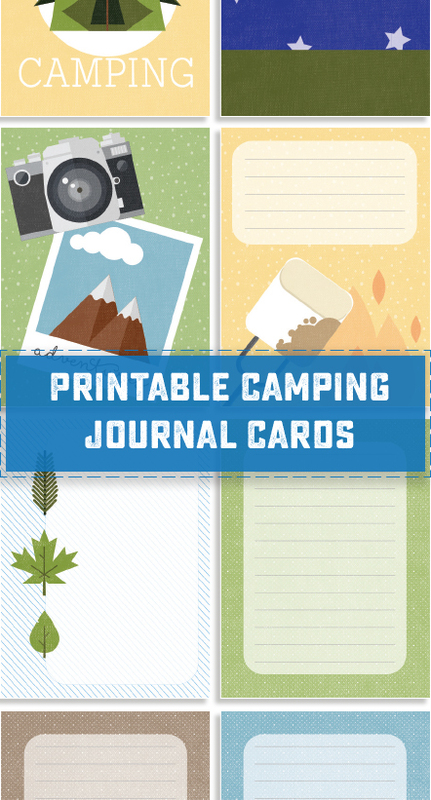 I’m super excited to use them in my album this year – I’m even thinking about bringing all the materials with me to camp and getting it set up on my down time! Don’t be shy – go ahead and download some for yourself!